Julia Garner is a Jewish woman born to creative parents. Her mother was a comedian in Israel before moving down to the United States where she became a therapist. Her father, Thomas Garner is an art teacher. He is also a painter. Garner is a lifelong New Yorker, having been born there, specifically in Riverdale, The Bronx on February 1, 1994. Information on her high school education is unavailable, however, Garner graduated from Columbia University. Garner’s route to acting wasn’t a case of passion or lifelong interest. She came into professional acting at the age of 15 after she started taking acting lessons in an effort to overcome her natural shyness. She continued taking her lessons until one day, at the age of 17, she decided to try an audition for a film she heard a friend had access to while she was in Columbia grad school. She read for Martha Marcy May Marlene, booking her first movie in the process. And that began a professional acting career of Julia Garner. Over the next few years, she would appear in films such as Electrick Children, which was her first leading role in a feature film. She starred along with Ashley Bell in The Last Exorcism Part II and a remake of the Mexican horror film, We Are What We Are. One of Garner’s more prominent feature films is Sin City: A Dame to Kill For in 2014 where she played Marcy alongside Joseph Gordon-Levitt. She also starred in the critically acclaimed coming of age film, The Perks of Being a Wallflower. In television, Garner has found more stable and prominent roles. She made her television debut as Kimberly Breland in the FX hit show, The Americans. She continued the role as a recurring character through the fourth to the sixth season of the show. In 2017, she was cast as one of the main characters in Jason Bateman’s Netflix show, Ozark. She reprised her role in the second season of the show which was released the following year. Other than The Americans and Ozark, Garner has appeared in other television shows like Maniac, another Netflix series and in Waco, playing Michelle Jones in the main role of the miniseries. Julia Garner so far hasn’t had a stage appearance in her career, with her first attempt getting canceled due to scheduling conflicts. She’s however expected to make her appearance on stage in the distant future. So far, Julia has appeared in fifteen films, five short films, six television series. She has been nominated for one award, the Boston Globe Best TV Performance in 2017, which she won. Is She Related To Thomas Garner? 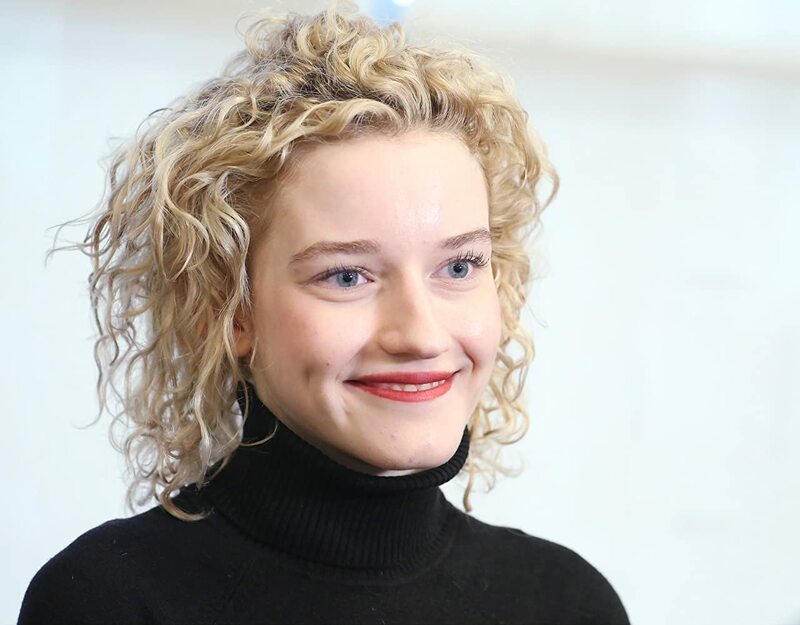 Due to her surname being Garner, Julia Garner has confusing rumors of being related to Thomas Garner, the actor. Although Julia Garner comes from a creative family and her father is also named Thomas Garner, she is no way related to Thomas Garner, the actor. Her father is a painter and school art teacher. Although she is more famously known for her acting career, Garner is also a model and has featured in magazine covers for a few publications. Julia Garner has credited Monica Vitti and Bette Davis for inspiring her acting style. The actress cites their work as her muse in fashioning her own brand of acting expression. The green screen is an important filmmaking element that any actor or actress is bound to work with at some point in their career. It is a test of their ability to imagine their environment and act as they would if the objects were actually there. Julia got her first test in the film, Sin City: A Dame to Kill For in 2014. Although just 24 years old with a career that started in 2010, Julia has acted alongside some veterans of the film industry. She has starred alongside Jason Bateman, Laura Linney, and Emma Stone. Julia stands at a moderate 5 feet and 5 inches but that hasn’t stopped her from having an intimidating presence whenever she enters a room. She has mostly her performance in Ozark to thank for her intimidating persona.